8 pages - Pamphlet - Author: A. J. Pollock Read 1 Peter 1:10-12; Luke 24:25-27, 44. The Old Testament writers prophesied mainly about two things—the sufferings of Christ and the glory that should follow. We learn from 1 Peter 1:10-12 that the prophets did not understand what they wrote about, and they actually examined their own writings to understand what they wrote. Yet they penned the most wonderful prophecies the world has ever known, many of them already fulfilled. This is a great proof of inspiration. There are many prophecies in the Old Testament, some of which have been fulfilled absolutely and the prophecy thus closed. 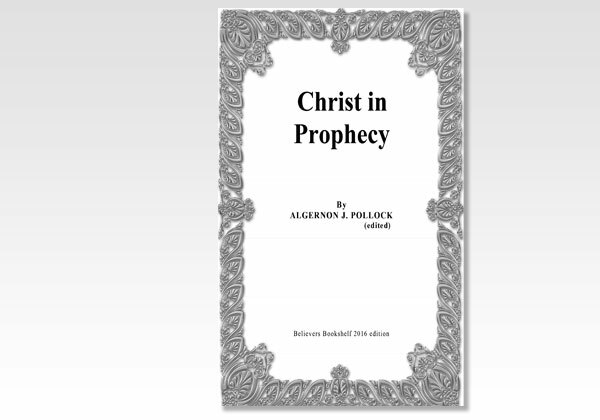 The main prophecy of the Bible concerns Christ. It is presented in three ways: first in the prophecy of type; second in that of illustration; and third in that of foretelling. Prophecy does not always mean foretelling. It either means forth-telling or foretelling, but I am speaking now of the prophecies in the Old Testament, which spoke of things that were then future.